The Green Mountain State is full of beautiful hiking locations & outdoor experiences. 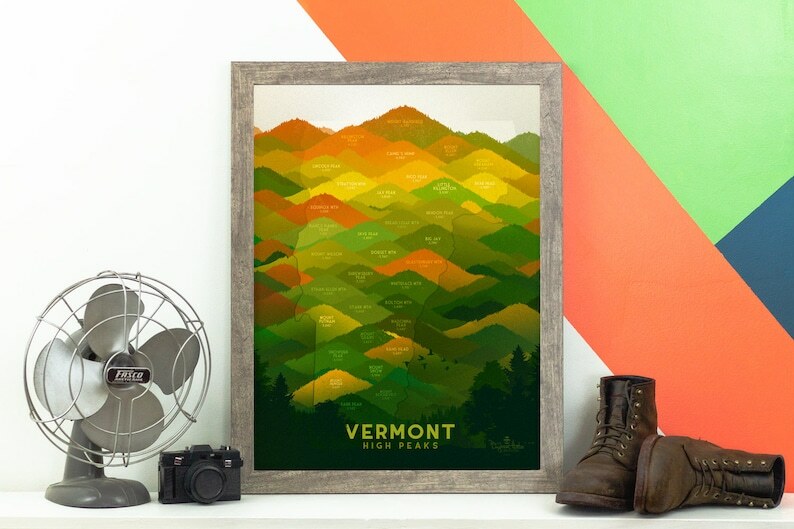 Inspired by photography of gorgeous VT, this print showcases 30+ high peaks with elevations over 3500 ft by using bright earth-tone colors and tall pines to capture the beauty of the Vermont outdoors. The highest peaks, the Vermont 4k Footers, are Mount Mansfield, Killington, Mount Ellen, Camel's Hump, and Mount Abraham. Beautiful poster, great quality. Shipping was prompt and the item was very well packaged and suffered no damage. 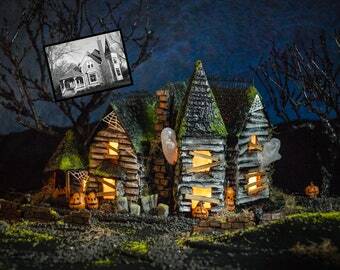 This will make an amazing Christmas gift for my father!